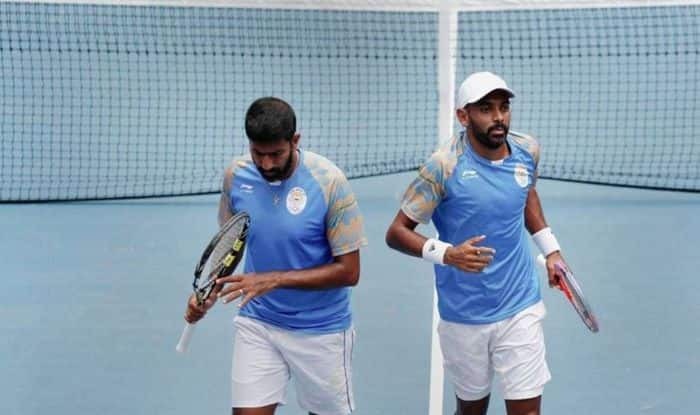 Australian Open: Country’s challenge at the men’s doubles event of the Australian Open came crashing down in a single day with three pairs featuring Indians suffered first-round defeats, here Wednesday. Also making the first round exit was Jeevan Nedunchezhiyan and his partner Nicholas Monroe, who lost 6-4 6-7(8) 5-7 to Kevin Krawietz and Nikola Mektic after fighting hard for two hours and 20 minutes. Prajnesh Gunneswaran had also made a first-round exit after coming through the Qualifiers while Ramkumar Ramanathan, Ankita Raina and Karman Thandi could not make it to the singles main draw.